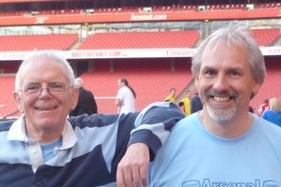 Boreham Wood against Arsenal: (a very inexperienced) running commentary of the first half! Please note that because I thought Walter would not be covering the match I tried to write a commentary as it went along, but believe me it is much much harder than it looks to do it. Football is back in WD6 5AL. Enjoy the game! Here’s the Arsenal team.